I want to thank every one of you for being an integral part of Medical Students for Choice—our organization continues to grow not only in the United States but abroad as well. Thank you for your determination to ensure abortion training is accessible, whether through critical financial support, serving as mentors to MSFC members, or the conversations you’ve had about the importance of abortion training in your community. Although interest in Medical Students for Choice is at its all-time high (attendance at the 2017 Conference on Family Planning was the largest in MSFC’s history! ), a dark cloud looms over us. There will always be resistance against progress for abortion rights, but the thought of Roe v. Wade getting overturned becomes more plausible as the makeup of the Supreme Court changes under the current administration. It’s hard to remain hopeful when it feels for every step forward, we are taking two steps back. But immediate results are seldom attainable, especially in this line of work. We all felt hope in 2017 though, and I believe this report will show how much we have accomplished as we enter our 25th year of creating abortion providers. A record 172 students received training through the Reproductive Health Externship, 14 new chapters formed in the US alone, and chapter-sponsored educational events jumped by 33%! I want to end by saying thank you again. MSFC changed my medical education in numerous ways, and the same can be said for many others. As a member, I met like-minded students, empowering and strengthening me on this journey. As a chapter leader, I connected with experts in the abortion community and learned how to organize events that would benefit my community. And as a member of the Board of Directors, I learned the importance of patience, diligence, and teamwork. Without MSFC, I am certain I would not have known this early on that becoming an abortion provider is what I am destined to do and what makes me feel truly happy. Our efforts will ensure abortion training is accessible (or remains accessible), and every individual who is able to conceive has the ability to access abortion care safely. Thank you for a wonderful and incredibly inspiring year! Your generosity made their accomplishments possible. more US medical schools had an MSFC chapter on campus compared to last year. Our chapters are the heartbeat of the organization, fighting for change and leading the way on the ground. With each new chapter, more medical students are exposed to family planning education. It isn’t a given that you’ll be trained on abortion care if you’re a medical student. That’s why our members have been fighting to make it a part of their schools’ formal curricula! reported working on curriculum reform. You’ve supported students like AnnaMaria at the University of Missouri–Kansas City, who took matters into her own hands—she advocated for, created, and gave the lecture herself on elective abortions. What about the students who don’t get any classroom time on abortion care? Each two-day event provides an intense, small-group learning environment where students work closely with family planning experts. Attendees learned the full range of topics related to abortion, plus discussed values and advocacy. In most medical schools, even being able to just observe an abortion is difficult. This year, MSFC funded 172 medical students and residents to get training in clinical settings through the Reproductive Health Externship. MSFC worked with 126 training sites in the US and Canada, and 3 training organizations in the UK, Ghana, and Uganda. The RHE exposes students to not only abortions, but also pregnancy options and contraception counseling, pelvic exams, and sexually transmitted disease interventions. 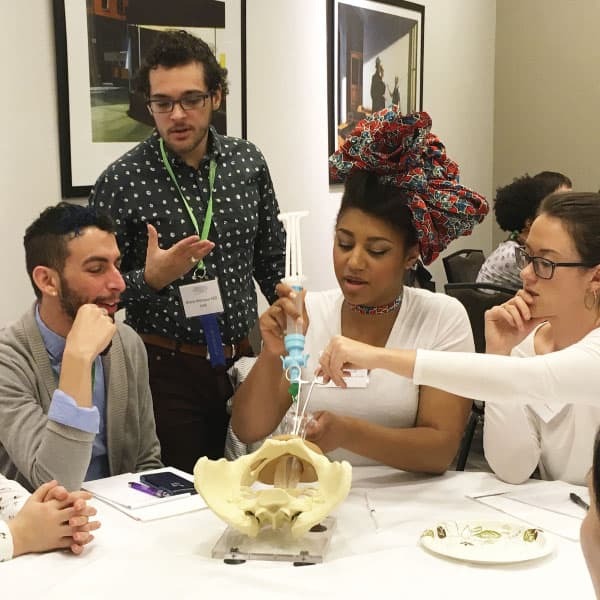 Your gift to MSFC subsidizes the cost of attending our annual Conference on Family Planning for medical students, and totally supports our members coming from hostile environments or new chapters. The conference is full of educational sessions, hands-on learning, and opportunities to make new friendships with like-minded peers from around the MSFC community. Thank you for supporting Medical Students for Choice!